Ever fancied living the luxurious lifestyle in arguably the greatest city on the planet, having your every need catered to by a professional concierge? From making a reservation at that exclusive Michelin-starred restaurant to arranging theatre tickets for the latest West End musical, this is the reality for wealthy Londoners who demand high levels of luxury and service. This has resulted in the emergence of five star homes in the Capital, prime residential developments affording discerning residents lifestyle amenities that wouldn’t feel out of place at a five star hotel. Such indulgence was traditionally associated with the fashionable Prime Central London areas of Mayfair, Belgravia, Kensington and Chelsea. However a selection of new-build developments in the City and Canary Wharf aimed at high-earning young professionals in the heart of the capital’s financial and business district have started to offer an enticing blend of contemporary design, high specification and extravagant lifestyle amenities. Further east, the on-going Docklands regeneration has resulted in luxury new homes, often converted warehouses with a distinctive riverside feel, conveniently positioned for an easy commute into central London. North West London can hardly be left behind with its landmark residential destination Beaufort Park recognised for its extensive on-site amenities including a comprehensive fitness suite with spa and jacuzzi and on-site shops and restaurants. 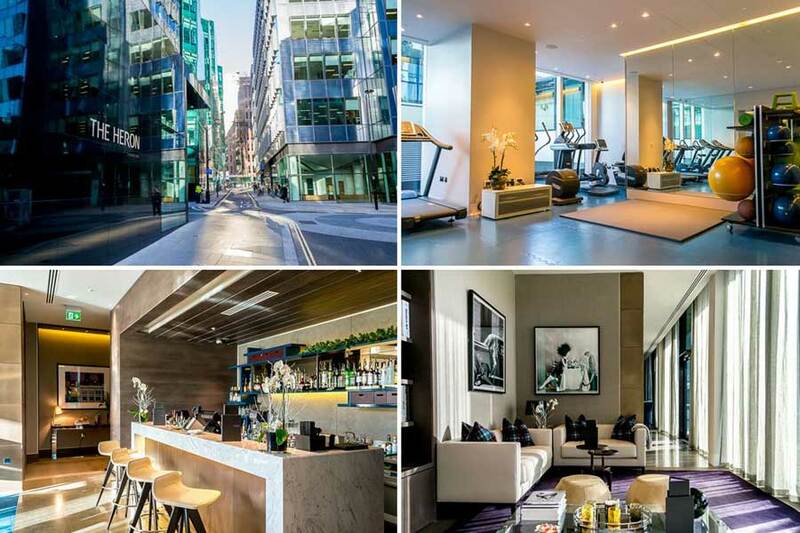 Enjoy this selection of some of the finest property developments listed for rent with our branches across London. 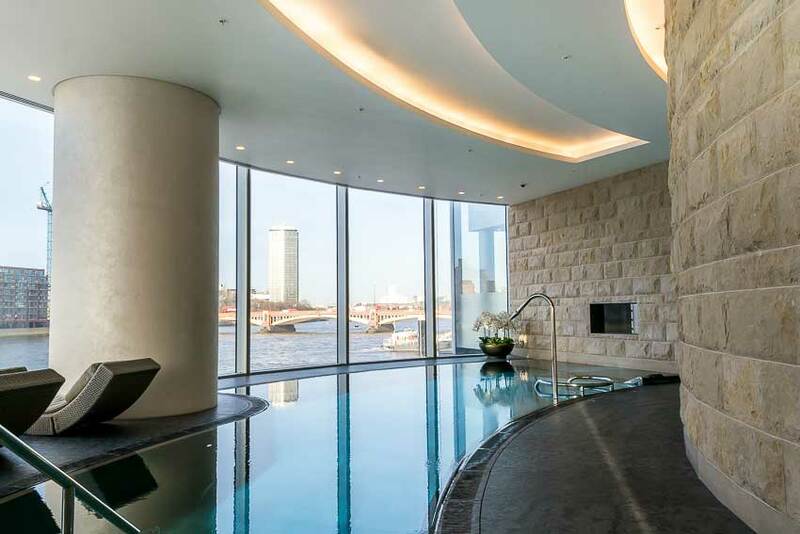 The prestigious Pan Peninsula development is located in the South Quay area, part of the residential hub of Canary Wharf and ideally suited to professionals working in the City or Canary Wharf. Residents are spoilt for choice with access to a range of modern conveniences, including the option to keep fit by using the five-star health club with swimming pool, steam room, sauna, hydro massage pool, yoga terrace, aerobics and dance studio; conduct business in a Business Suite with fully-equipped meeting rooms; unwind at the private cinema with Dolby surround sound and at the Steakhouse waterside restaurant or soak in the mesmerising views of the London skyline at the penthouse level cocktail and champagne bar. With all this, including a dedicated 24 hour concierge catering to a tenant’s every need, it’s little wonder then that this towering development is considered to be a truly impressive London landmark. We have this three bedroom duplex apartment for rent with our Canary Wharf branch. If you thought it doesn’t get better than this, it certainly does! The Heron is the tallest residential skyscraper in the City of London and is the epitome of high-rise city living at its finest. Residents enjoy access to a state-of-the-art fitness suite, landscaped roof terrace and exclusive residents’ club lounge. The air conditioned apartments are fully technologically integrated with smart home technology including central control panel, video entry and surround sound system, and afford truly panoramic views of some of the City’s best known attractions including St Paul’s and The Shard. A 24 hour concierge at the dramatic lobby will arrange for dry cleaning, housekeeping or ticket reservations. The development is enviably positioned right in the heart of the City nearby its historic landmarks. This impressive three bedroom apartment situated on the 25th floor at The Heron affords spectacular City views. 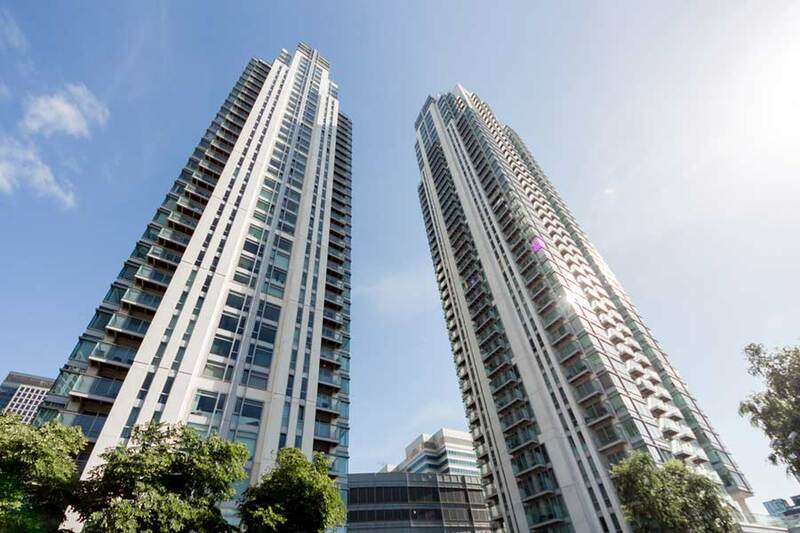 The award-winning riverside development St George Wharf in Vauxhall features ‘The Tower’, Britain’s tallest residential skyscraper which dominates the London skyline and counts amongst its residents several billionaires. The awe-inspiring lobby with its crystal chandeliers and plush furniture leads the way to 50 storeys, featuring extraordinary levels of luxury including fingerprint recognition locks, spa with pool, massage and manicure rooms with 360 degree views of London, sky gardens with spectacular views of Westminster, on-site shops, restaurants and health centre. Live the luxury lifestyle at an affordable price by renting this one bedroom apartment situated at Kestrel House within the development. Further west, positioned on the north bank of the River Thames and set amidst landscaped gardens, Fulham Reach affords luxury riverside living in Hammersmith. The private lifestyle club offers a state-of-the art fitness suite, golf simulator, home cinema, snooker room with bar, temperature and humidity-controlled wine cellar and lounge. This spacious two bedroom apartment at Fulham Reach is listed with our Hammersmith branch at £750 per week. In affluent Kensington, the 375 Kensington High Street development is one of the most glamorous addresses on fashionable Kensington High Street. Residents enjoy access to an exclusive leisure studio with personal training option, spa, sauna, private cinema and the services of a professional concierge. This much sought-after address is situated within walking distance of the best London has to offer in lifestyle, fashion and luxury including designer boutiques, Michelin starred retaurants, and the world-famous Kensington Gardens and Hyde Park. This stylish two bedroom apartment is situated at the prestigious Lord Kensington House at the development. Our 16 branches across London have apartments to rent in all of these developments. Do contact us to find out more, and for more property inspiration, why not subscribe to our newsletter?